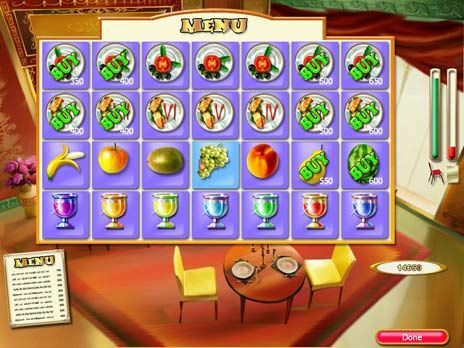 Apple Pie Game - Apple Pie Game is a great game to play free. Apple Pie game is one of more than 400 free Games you can download at Free Ride Games, Make matches to make money and upgrade your restaurant in Apple Pie! Move on to fancier digs as you make a name for yourself in the eatery biz. Play mini games to unlock real recipes you can make in your own kitchen! Apple Pie is delicious fun for the entire family. Download Apple Pie for FREE and enjoy: * 150 different boards * 3 types of restaurants * 15 real recipes Free Ride Games is the only place where you can download over 300 top games for free, including Hidden Object games, Time Management games, Match Three games, Sports games, Puzzle games, Arcade games, Card games, Board games, Flash games, Fashion games, Food games, Online games, Word games and many more. We have hundreds of choices from the leading game publishers like iWin, PlayFirst, Sandlot Games, Mumbo Jumbo etc. Download Apple Pie free game and play it now.